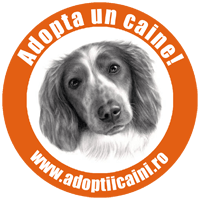 Casa Capsa | WELCOME TO ROMANIA ! Situata vizavi de Cercul Militar National, pe Calea Victoriei, colt cu str. Edgar Quinet, Casa Capsa este o veche cladire de 3 etaje construita in 1852, care a apartinut initial vornicului Slatineanu si care, din 1874, a intrat in posesia celebrului cofetar Grigore Capsa (fost elev al lui Boissier din Paris). Acesta a impus de la inceput standardele occidentale de calitate si rafinament, facand din Capsa un nume cunoscut in intreaga Europa. Relatiile stabilite în capitala Frantei i-au fost de folos in punerea pe picioare a afacerii, in recrutarea personalului, la inceput francez, precum si in formarea unor specialisti romani sau pentru aprovizionarea de la firme cu renume in intreaga Europa. Cei doi Capsa (Constantin si Grigore – n.r.) s-au asociat în ziua de 23 aprilie 1868, pentru a conduce un comert al carui obiect a fost “confiseria fabricata in tara sau importata din strainatate si comestibile”. In cofetaria fratilor Capsa puteau fi consumate si comandate fursecuri frantuzesti asortate, bomboane de ciocolata produse de cele mai renumite case de cofetarie din Paris, bomboane fondante, fructe glasate s.a. In plus, modul de prezentare al noilor produse era cu totul deosebit, nemaivazut pana atunci de bucuresteni, proprietarii cofetariei facand eforturi deosebite sa aduca “cartonaje” si alte ambalaje sofisticate precum cutii de bomboane, hartie dantelata de la Paris si Viena. In 1886 se deschide hotelul Capsa, condus de fostul director ” Hôtel Café Anglais” din Paris, J.Bourdell si devine in scurt timp cel mai elegant hotel din Romania. Adevarata emblema a inaltei societati romanesti , hotelul Capsa a fost considerat pentru o buna perioada de timp ca fiind destinat exclusiv artistilor, familiilor bogate, scriitorilor de marca si politicienilor vremii. Majoritatea diplomatilor straini aflati in vizite de lucru in Romania preferau hotelul Capsa, deoarece aici gaseau aceeasi ambianta vestica, elevata si aristocratica. Data de 17 iunie 2003 este si ea marcanta pentru istoria Capsei: este data la care hotelul este redeschis, de data aceasta de catre proprietarul ing.Marian Bucur, in varianta de 61 de camere First Class ( 5 stele ), continuand astfel sa se situeze printre cele mai elegante hoteluri din Romania. Capsa House is a historic restaurant in Bucharest, Romania, first established in 1852. At various times it has also included a hotel; most recently, it reopened as a 61-room hotel 17 June 2003. In 1852, Anton and Vasile Capsa founded the first confectionery shop on Calea Victoriei, somewhat north of the present Capsa House, which was founded by their younger brother Grigore Capsa (1841-1902) in 1868.Anton and Vasile had financed Grigore through four years of courses at the renowned Boissier in Paris, where he turned down an opportunity to become the supplier for the French Imperial Court. The French-inspired confectionery of Capsa House soon established a continent-wide reputation. The business expanded in 1881 to a full-service restaurant, at a time when quality restaurants along Western European lines were still quite a rarity in Romania. Capsa House invented the all-chocolate Joffre cake in honor of a visit to Romania by Joseph Joffre after World War I, and they were the first to introduce ice cream to Romania. The coffee house, established 1891, was an important literary and artistic gathering place, but never turned a profit, “because the writers and artists who went there usually ordered mineral water and coffee and made them last for hours on end.” In contrast to the elegant restaurant and confectioner, the coffee house had simple, uncovered wooden tables. Tudor Arghezi referred to it as an “Academy”; one could make a literary reputation by reading one’s texts there.Actors also were among the regulars: at the time the Romanian National Theatre was nearly across the street, adjacent to the Terasa Otetelesanu, now the site of the Palatul Telefoanelor. When the Romanian Communist Party took power in 1948, they closed Capsa House. The restaurant operated during most of the communist era as the “Bucharest Restaurant”, regaining the Capsa name in 1984. It was at the Capsa that the poet Nicolae Labis stood up in November 1956 and loudly recited Mihai Eminescu’s banned patriotic poem “Doina”; a few weeks later, after spending some time at the Capsa, Labis was fatally hit by a tram, just a short distance away. The enterprise was expanded in 1886 to include the Capsa Hotel, initially a guest house for members of parliament from out of town.The French manager had formerly managed the Hôtel Café Anglais in Paris. In 1908, the British magazine John Bull ranked it “among the best hotels in the world”. 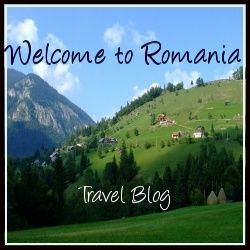 According to the revived hotel’s web site, “It was considered for a long time the only suitable residence of the artists, rich and aristocratic families or high rank politiciens and diplomats visiting Romania,a role it would eventually yield to the Athénée Palace.